Every submitted paper will be evaluated by at least three reviewers in technical quality, originality, significance to the symposium, and organization. We encourage authors to proofread and spell check their papers before submission. 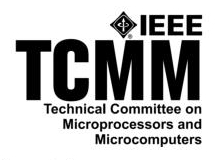 MCSoC 2018 proceedings will be published by IEEE Computer Society, which will be included in the Computer Society Digital Library CSDL and IEEE Xplore. All CPS conference publications are also submitted for indexing to EI’s Engineering Information Index, Compendex, and ISI Thomson’s Scientific and Technical Proceedings, ISTP/ISI Proceedings, and ISI Thomson. International Journal of Intelligent Autonomous Systems (IJIAS). Papers will be selected based on their reviewers’ scores and appropriateness to the Journal’s theme. All extended versions will undergo reviews and must represent original unpublished research work. Further details will be updated at the journal website later.